Advantages: Adds amazing detail and improved strength to the vulnerable chain gun hanging under the nose of the Apache. Conclusion: Master produce great products to enhance modelling across most genres and these helicopter gun detail sets are certainly amazingly detailed for items so small. 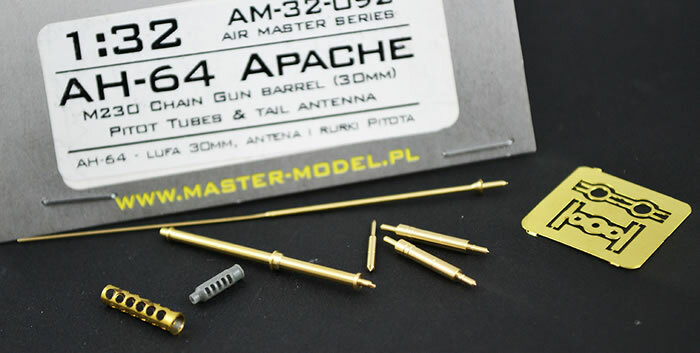 The Master AH-64 Apache Chain Gun sets are all made up of identical scale parts to create a very detailed and realistic chain gun for the Apaches chin. Not only do these sets give us great detail but the nature of the turned brass parts gives this structure strength. Whilst I have not built an Apache yet, I have built a number of AH-1s and managed to catch and break the under nose gun several times, both in completing the model and in transport to various functions. The brass barrel certainly ups the strength factor and hopefully the breakability degree. 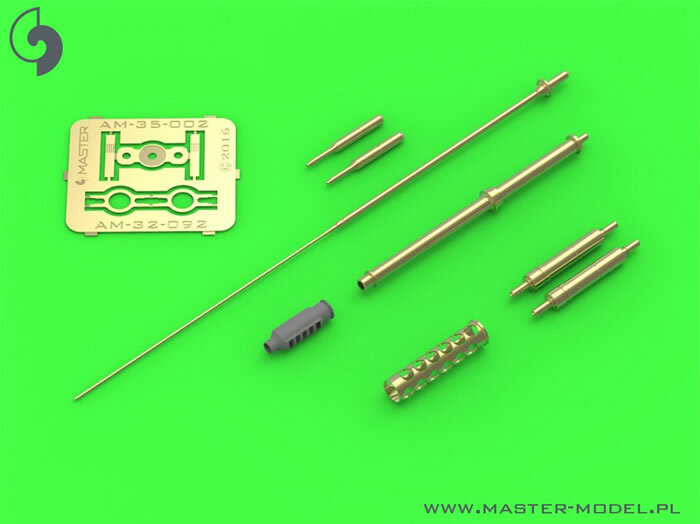 These sets are each made up of seven turned brass parts, 1 resin muzzle and a tiny brass etch sheet with 2 parts. 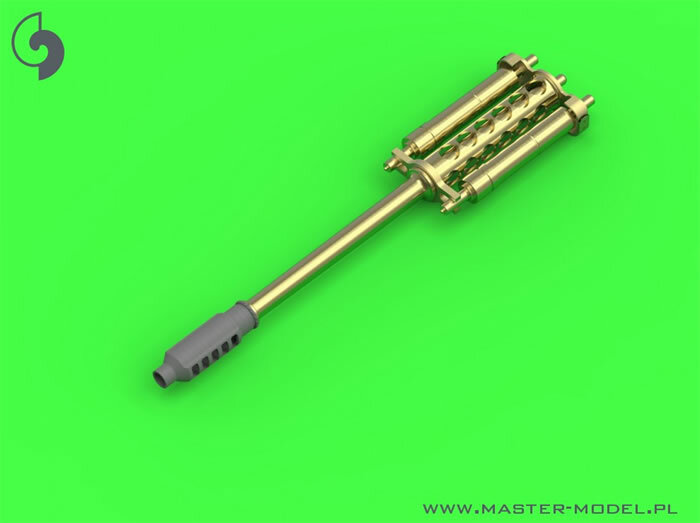 The chain gun consists of four brass parts, the resin muzzle brake and two photo-etched parts that form the front and rear collars to hold the assembly together. There are two pitot tubes supplied as well as a very fine tail antenna. All parts are packed carefully with the more delicate parts within small foam inserts. In the various scales these sets cover a huge range of brands of kits. 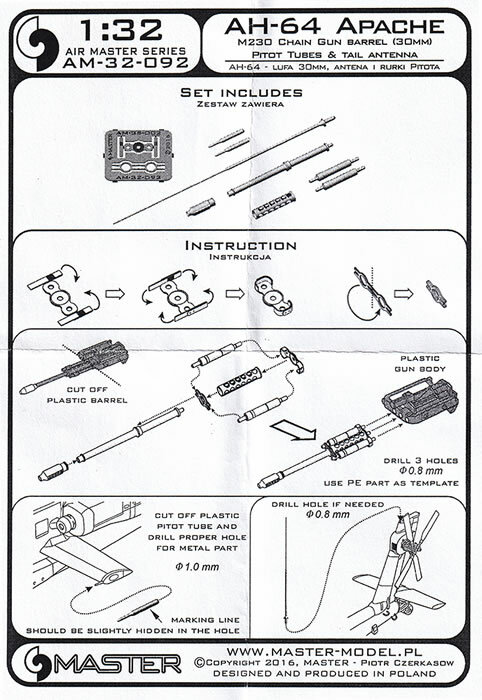 The 1/32 is suitable for the Revell kit, with the Kangman 1/35 kit covered. Each of these sets would be highly recommended to any AH-64 Apache modellers out there. Keep them coming Master! Thanks to Master Model via Creative Models Australia for the review sample.